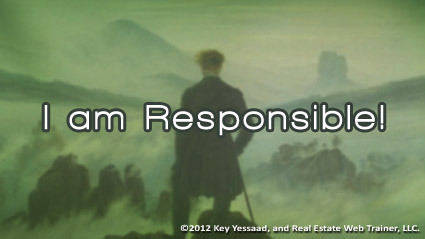 Responsibility is never delegated it is always assumed, and in the world of results it is always best to know who is the one person who assumes that responsibility. The easiest way to create a blame culture is to build an organization with Shared Responsibility but without a clear leader. Who is the skipper of your organization? This paraphrase quote of Robert Copeland puts it best: ‘To get something done, a committee should consist of no more than three people, two of whom are always absent.’ Yes this sounds flippant but it goes to the heart of decision-marking, and the ability to receive information, review it and making active decisions in order to produce results. Real Estate Agents and Brokers who wish to grow their presence in their local market must assume responsibility for prospecting; both direct (Door Knocking and Direct Calls) and passive (emails, mailers, marketing flyers, etc… The skipper of your organization will create success for all if he or she pushes for the acquisition of new business day in and day out!